Vicki Cronis-Nohe One of the two remaining goats at Craney Island landfill in Portsmouth checks out a visitor on Aug 10, 2017. The female goats, called Thelma and Louise by landfill supervisor Chris Bower, like to hang out on a hill on the east end of the landfill. 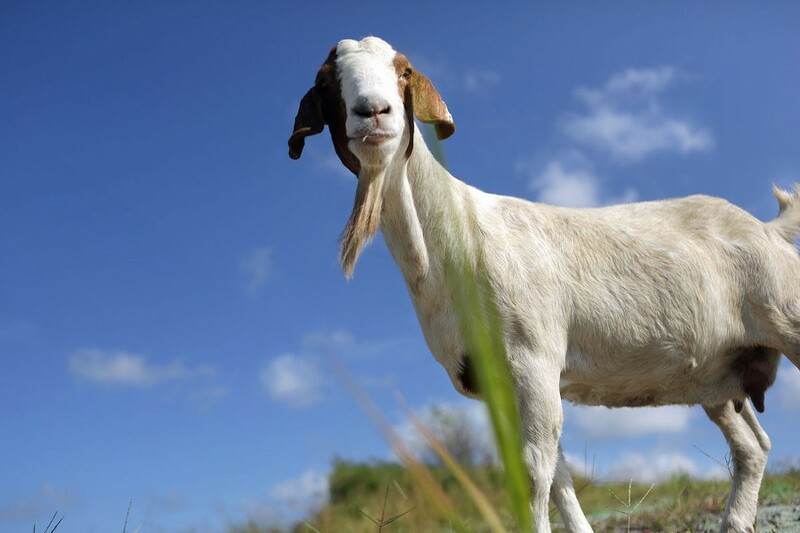 At one point the city had 10 goats and 10 sheep working to keep the vegetation down, but has now decided to end the program.